Since 2007 Bridgeport Coffee has been supporting Chicago area Public Schools through the sale of this blend at local area grocery stores. We now offer this Fair Trade, organic-certified coffee direct to our customers. A portion of the proceeds of the sale of this coffee will be allocated to support selected Chicago Public Schools. Now your passion for top-quality coffee can support Chicago’s quest for better educational opportunities throughout the city. 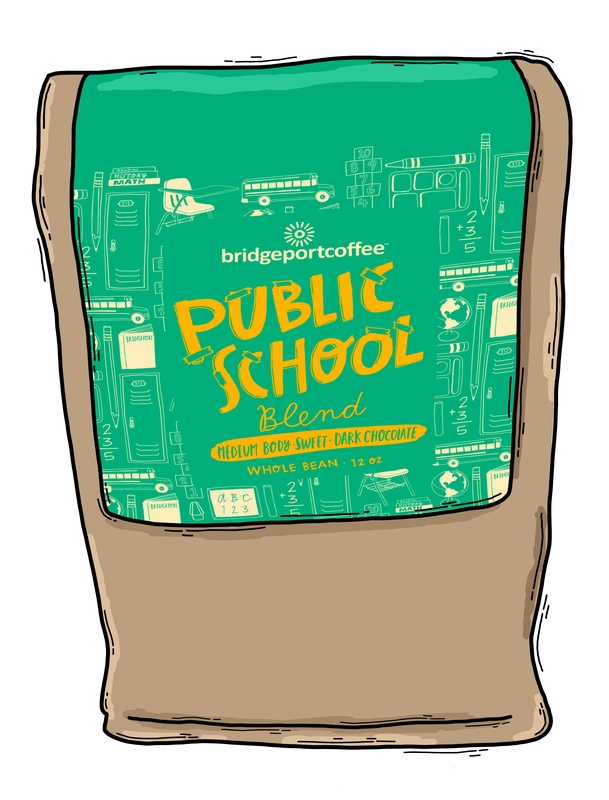 Public School Blend is a great new reason to drink more coffee!